Montana Alpine Guides employs a staff of the most experienced ski guides in the Bozeman, Big Sky, and Yellowstone National Park areas. 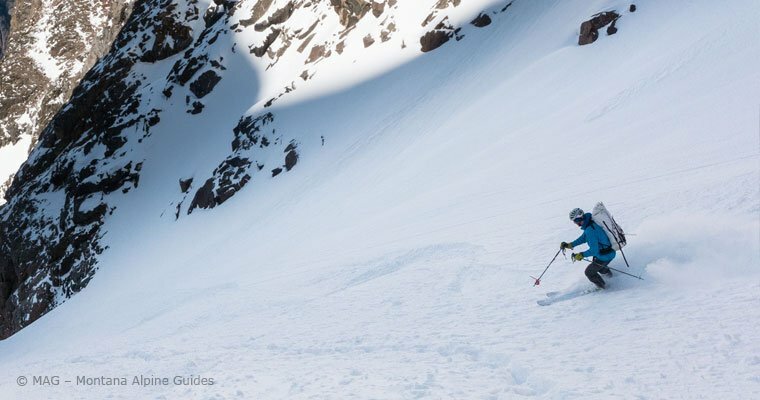 Break away from the resort and explore some of the best powder stashes that Montana has to offer and do so safely with Montana Alpine Guides. From Big Sky it’s just a short 30-minute drive to our favorite areas which means less time driving and more time skiing! The area gets reliable snowfall from December through May and offers great skiing for all experience levels. 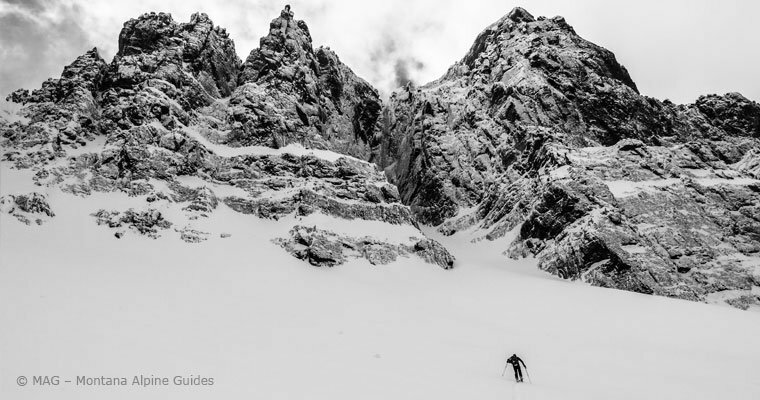 All MAG guides are American Avalanche Association PRO members, Level 2 Avalanche training, medical training and many have AMGA certification in addition to years of first-hand experience in our local terrain. *All ski trip locations are subject to change according to weather and snow pack conditions. 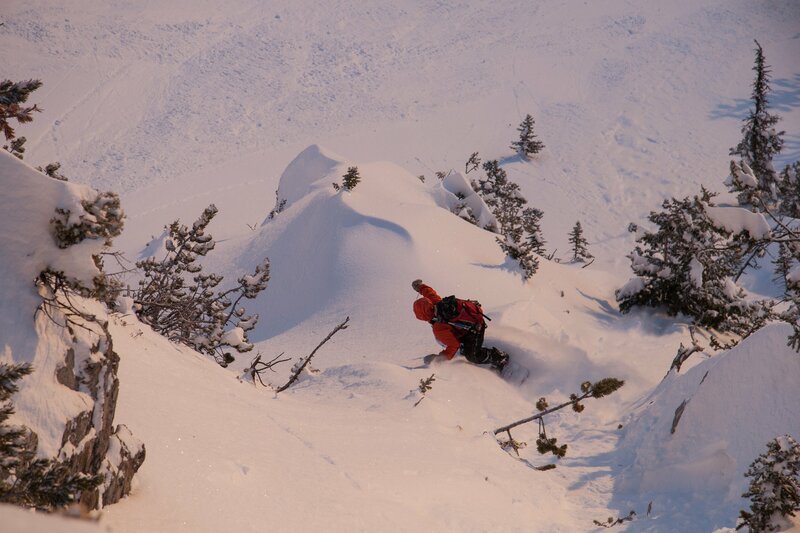 Just 25-45 minutes south of Big Sky we offer powder skiing tours in Yellowstone National Park. 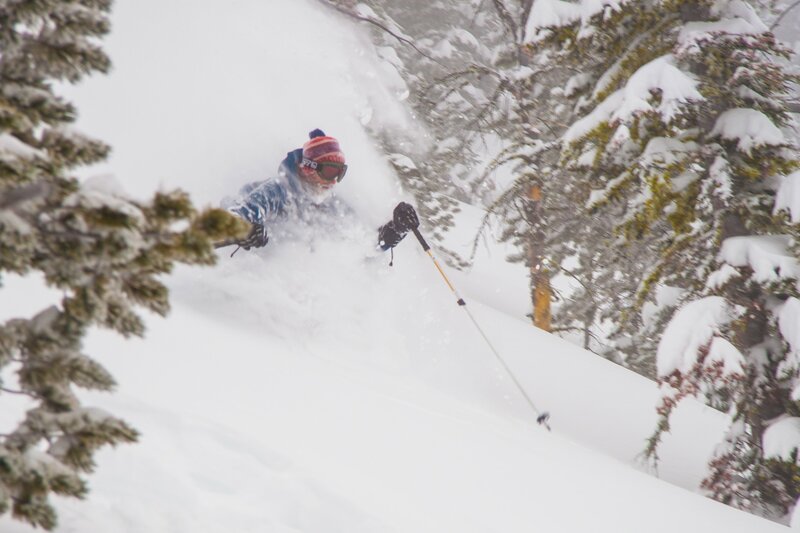 Locations include shorter approaches to great skiing up to longer all day tours deep in Yellowstone National Park. We customize each trip to fit your groups’ distinct abilities and ambitions. All trips are private outings. Any tour in the park is a memorable experience whether seeking powder turns, wildlife, or grand vistas. The terrain varies from alpine meadows, tree skiing, and peaks depending on interests and abilities. Duration: 4-8 hours. All trips are custom to fit your group. You decide when to meet your guide and when you want to turn around. We plan the ski tour around your preferences. Full day trips to multi-day trips. Lodging is not included but can be arranged through private lodges and cabins. 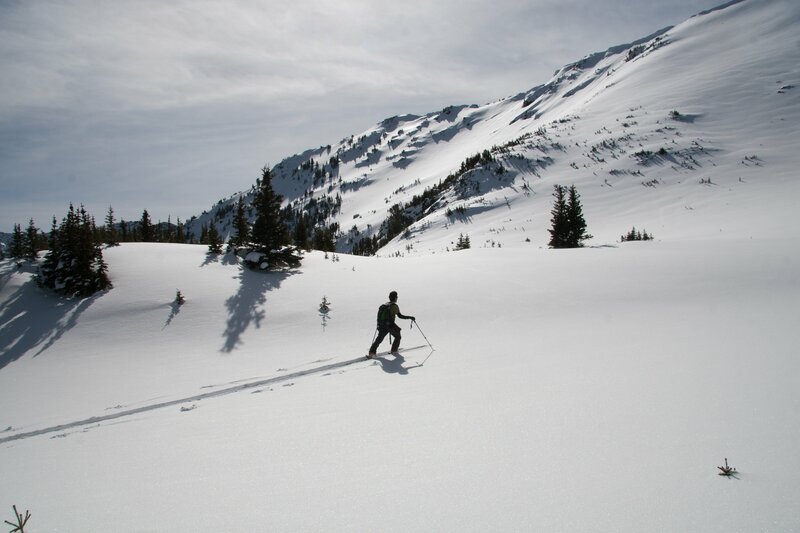 This can make for an unforgettable 2-4 day backcountry ski trip. 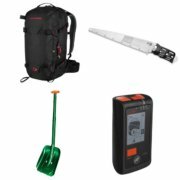 All mandatory gear can be rented for your backcountry ski day if you don’t have your own. Ski rental locations are in Big Sky or Bozeman, MT and should be picked up the night prior to your outing. 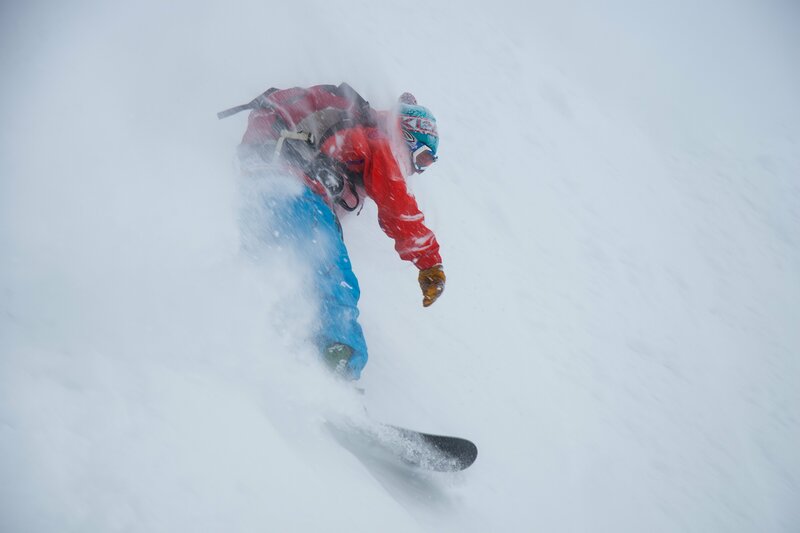 MAG ski guides are the most experienced and skilled ski guides in this region with ski experience from MT, Alaska, to S. America. All lead MAG ski guides are American Avalanche Association PRO members, have Level 2 Avalanche Training, and medical training. Many guides also have AMGA certifications in this discipline. In addition all guides have years of first hand experience in our local ski guiding terrain. You can’t find a better set of ski guides. Rates do not include 3.5% land use charge.